Long-running institutions in the community are usually such household names that we rarely stop to wonder where those names came from. Mead Clark isn't just the name of a lumberyard and building-materials store celebrating its centennial this year; it was also a man from Iowa who opened a modest lumberyard at Third and Wilson in Santa Rosa in 1912. A city kid named Eli Destruel was also around in those days, starting work for Clark in 1922. Destruel had lost his father at a young age, and Clark, with his wife, Dora, had no children; a classic father-son relationship was born. By 1944, Eli had taken over the business, but in tribute, he kept Clark's name on the sign out front. "My grandfather was really old-school," says Randy Destruel of Eli today, sitting in Mead Clark's new location on Dowd Drive. Indeed, Eli had such trust in humanity that all the way through the 1970s, the lumberyard, right downtown, had no fence at all around it. "We tried to tell him, 'We're losing a lot of material here,'" Randy says. "But he couldn't conceive of anybody stealing from him." 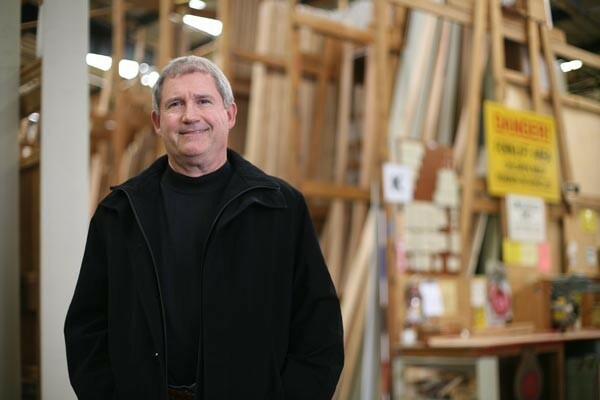 Randy started at Mead Clark in 1972, and can rattle off the names of old lumberyards in town with ease: Diamond National, Don's, Sterling, Yeager & Kirk, all of them gone. What's Mead Clark's secret? "The construction business is a tough, up-and-down business," he says. "You've got to work with contractors and help get them through some tough times." In Mead Clark's 100th year, as area contractors weather a tough building slump, remodeling projects and energy-efficient rebate programs have been a blessing—windows and doors, especially. And though the family business is his top priority, Randy clearly has a freewheeling side, recalling with a chuckle the time he and a high school friend constructed a gazebo at the lumberyard, and then, with no other option available, delivered it across town on a forklift going about 15 miles an hour. "That's probably the dumbest delivery we ever made," he laughs. "The town was a lot smaller then. We could do that." 2667 Dowd Drive, Santa Rosa. 707.576.3333.—G.M. John Henry Steves, who founded Steves Hardware in 1878, was famous for perching on the bench in front of his St. Helena store. "I would hear stories about him sitting out front, talking to people and waving. He'd walk to the bar, play pinochle, and then back to the hardware store to work," says Gary Menegon, co-owner with brother Ron, whose family bought the store from Steves in the '50s. Housewares were added in 1966, and in 1992, after more than a century of paying rent to reside in the bottom floor of the Odd Fellows building, the Menegons bought the neighboring space and moved the business one door down to 1370 Main St. Today, the store remains a go-to shop for everything from hardware and chicken feed to shotguns and art supplies. Though times have changed, the memories live on. Menegon shares a story from his dad's era: "Six old-timers"—who included a Mondavi, a Martini and a Carpy—"came into the shop to buy shovels, wearing Levi's and bib overalls. Each a millionaire by then, but still just average Joes. Just like us. We're still here, regular blue-jeans kind of people. Smiling and saying hello." 1370 Main St., St. Helena. 707.963.3423.—C.J. Massimo Galeazzi isn't a household name, but together with fellow Italian stonemason immigrants Peter Maroni, Natale Forni and Angelo Sodini, he helped build early-century landmarks Santa Rosans know by heart: Hotel La Rose, Aroma Roasters, the Western Hotel, the Railroad Depot and the St. Rose Catholic Church. Galeazzi also constructed the Stonehouse on Highway 12 as a family home and boardinghouse for other immigrants. While the Stonehouse has gone on to house strip joints, savings-and-loan scandals, bed-and-breakfasts and rehabilitation centers, Galeazzi's tombstone business, North Bay Monument, has stayed almost exactly the same. Long a mainstay at Third and Davis streets in Santa Rosa, the business is now in Rohnert Park, operated by the fourth-generation family. Kitchen counters and other natural stone surfaces are part of the inventory, and naturally, there's still a reliable business in tombstones. Massimo would be proud. 159-A Cascade Court, Rohnert Park. 707.586.0480.—G.M. When the Bohemian moved into its current office, we found a small, brown, empty one-ounce bottle on a bathroom shelf that instantly captured our imagination. "INSTANT SPACE-AGE AIR KONTROL," it read, with a rocketship and stars. What could it be? On the back, in a space-age font, was our clue: "Distributed by TeeVax." For years, we let the mystery be. But finally, last week, we walked into TeeVax, placed the strange bottle on the counter and asked if anyone could tell us what in the world it was. It wasn't long before Ruth Montague herself came out of the back room. Ruth and Richard Montague started TeeVax in 1938 out of their house on Santa Rosa Avenue, and over the years the store has sold appliances, electronics, kitchen equipment, televisions—and starting in the early '70s, Instant Space-Age Air Kontrol. "Oh, we know all about that," said Ruth, picking up the bottle with a knowing smile. And so the story finally came out. In the early 1970s, Richard Montague knew a friend who worked for the space program. He shared with the TeeVax owners a secret NASA formula for air freshener, an oil-liquid mixture zapped with an electric charge. "They used it in the space shuttle," Ruth says. "One drop would eliminate 37 square feet of odor." 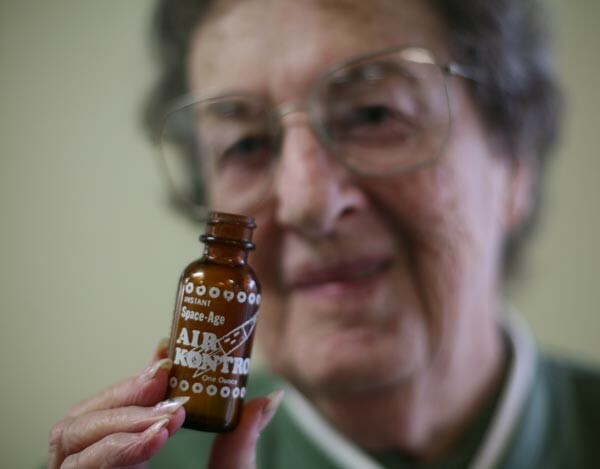 Since there was no official patent stopping them, the Montagues began manufacturing and bottling the deodorizer at TeeVax, selling it for $2 a bottle or, in most cases, giving it away. It wasn't a big money maker, though, and after a few years TeeVax ceased production of Instant Space-Age Air Kontrol. But Ruth still swears by the stuff, and her son Pat has fond memories of the way it made the family store smell. "In fact, I still have a bottle of it somewhere around here," he says. "You want one?" 422 Wilson St., Santa Rosa. 707.545.1195.—G.M. Founded in 1847 as a stop along the North Coast Pacific Railroad, Diekmann's General Store in Tomales has deviated from "general store" status, though it still carries an assortment of upscale, small-grocer items like organic vegetables, deli meats and fine beers. Its light-green, false-front exterior is emblematic of the surrounding community's rural, quiet way of life, with a bench out front for visiting neighbors and a post office next door. The quaint market is one of only several enterprise hubs in a disconnected corner of Marin, where residents have 707 area codes and often have to travel windy roads to Sonoma County for other needs, and as such is a valuable part of this extremely rural community. 27005 Maine St., Tomales. 707.878.2384.—R.D. For his final major commission before his death in 1959, Frank Lloyd Wright designed the sprawling Marin County Civic Center after an inspired trip to the Middle East (hence the mosque-like domes), and there are few pieces of architecture as stunning in any county. Its sleek interior has been the backdrop for sci-fi films like Gattaca and THX 1138, and its beauty transcends genres and generations—it even appeared in a Dr. Dre video a few years ago. It's easy to forget about this historic landmark when you're within the structure itself, fighting a parking ticket or sitting in on a friend's criminal court proceedings. The county jail itself is on the premises, which surely evokes mixed emotions and bad memories in some folks as they drive by the auspicious pink-and-blue buildings. I used to think breathtaking San Quentin took the cake for Marin County's most ironic residential pairing, but the plethora of family court proceedings and criminal arraignments each day pulls the Civic Center far ahead. Oh, well. Thank God we have art. 3501 Civic Center Drive, San Rafael. 415.473.6358.—D.S. Even when Rohnert Park was still mostly a sweet-pea farm, its tall freeway sign welcomed all comers to the pit stop between historic Petaluma and the metropolis of Santa Rosa. According to Pete Callinan, the city's first mayor and first city manager, the sign was constructed to promote the new houses being built for the planned community, probably as early as 1960. But it was Maurice Fredericks, one of Rohnert Park's first developers, who had the closest connection to the sign. Now a lawyer in Rohnert Park, Fredericks, with a few others, bought the sign before the city was incorporated in 1962. (Back then, it rotated!) The sign originally read "Sonoma State College," but that was replaced by "The Friendly City" when then-mayor Art Roberts' wife Reba coined the phrase for a city slogan contest in the '70s. The sign now sits dilapidated, with holes and twists in the metal. Not one to let the sign succumb to neglect, dedicated Rohnert Parkian Dave Armstrong is spearheading an effort to fix it up in time for the city's 50th anniversary celebration this September, which bears the theme "Still Friendly After All These Years." Commerce and Southwest boulevards, Rohnert Park.—N.G. Located on a picturesque peninsula between San Francisco Bay and San Pablo Bay, McNear Brick and Block is one of the oldest family-owned businesses in the North Bay. In 1868, when San Francisco was still a rough-and-tumble port town, a recent settler in Petaluma named John A. McNear bought 2,500 acres of Point Pedro east of San Rafael. In 1897, he took over operations of an existing brickworks company there, the same year that William McKinley was elected the 25th president of the United States. The bay-adjacent location was perfect for schooners and barges, and in a foreshadowing of the current dependence of vineyards on immigrant labor, some of the workers were Chinese immigrants, many of whom moved on to become shrimp fisherman at neighboring China Camp. More than a hundred years later, McNear's great-great grandchildren continue to run the business—that's Dan McNear, pictured above. And like any good Darwinist, the brick manufacturer and supplier has adapted to the times. In 1931, they began producing a lighter, more insulating type of brick called Haydite. Over the years, the kilns have transformed from wood-fueled to coal-fired to gas-fired to the current tunnel kilns. While their clay pit has been essentially depleted, McNear's has taken to green manufacturing, recycling excess clay and shale from local excavating contractors into brick. This helps the environment in two ways: first, it eliminates the need for additional mining; second, it provides a local base where waste from swimming-pool construction and the like can be dumped, cutting down on truck traffic. McNear bricks have been used for libraries, houses, government buildings and fire stations across Northern California, including San Rafael City Hall and the Church of the Redeemer. 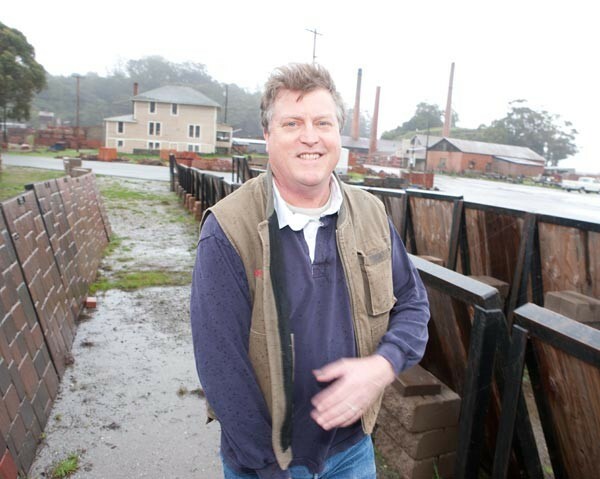 Just like the McNear name, which graces roads, parks and beaches around Marin, the bricks have become an integral feature of life in the North Bay. 1 McNear Brickyard Road, San Rafael. 415.454.6811.—L.C. Hey, it was a small town in 1892. That's why, like many furniture stores around the country in those days, Pedersen's Furniture was the town undertaker in Santa Rosa, dealing with the deceased alongside selling tables and chairs. Reportedly paid $1 per burial by the county of Sonoma, the store nonetheless walked away from the big money in coffins and swung full-time into selling home furnishings. Amazingly, Pedersen's is still run by the family, Ken and Paul Pedersen, in the location they've been at since 1952—a nearly 50,000-square-foot warehouse and showroom that's seen decades of blonde wood, dark oak, cherry and pine. And though the extensive selection is up-to-the-day, there's one aspect of Pedersen's that's stayed old-school: they don't accept credit cards. Take that, Wall Street! 707 Fifth St., Santa Rosa. 707.542.1855.—G.M. In an age when many family-owned businesses have been run out of town by big-boxes and dot-coms, Hardisty's Homewares is a bit of an anomaly. What's their secret to success in changing times? Keep on running. Founded in 1898 at Fourth and B streets in Santa Rosa, Hardisty's first moved to Fifth Street, then to Montgomery Village, finally settling in a forlorn corner of Farmers Lane Plaza in 2001. Last year, they hopped across the parking lot, into the former Hollywood Video spot. Here, you'll find the same indispensable homewares and gourmet gadgets, the bulk coffee and tea counter, and a small-appliance repair desk for those contrarians who yet dare to defy the throwaway culture. Is there any concession to the computer age? Why, yes. On the sales counter, a display plays a slideshow of black-and-white photos of Hardisty's locations in the good old days. You won't find these on Google. 1513 Farmers Lane Plaza, Santa Rosa. 707.545.0534.—J.K. "I tell people I've worked here either 20 years or 46," quips Keven Brown. And indeed, as son of Santa Rosa Symphony conductor laureate and longtime store owner Corrick Brown, Keven's been at Corrick's—china and crystal in the front, office supplies in the back—since before he could hold a Mont Blanc pen. He's got good company, too, as other employees have stayed over the decades. Julie, 42 years. Rick, 35 years. Marsha, 25 years. "We don't know what turnover is," says Brown. It's the sign of a good business when people stick around this long, and sure enough, the old-time values and face-to-face service at the store have brought people coming back for stationery, books, silver, leather goods, mailing supplies and much more since its founding in 1915. Brown's wife, Jeri, might seem the newcomer, only working in the store for, oh, 17 years now. But there's someone even newer now. 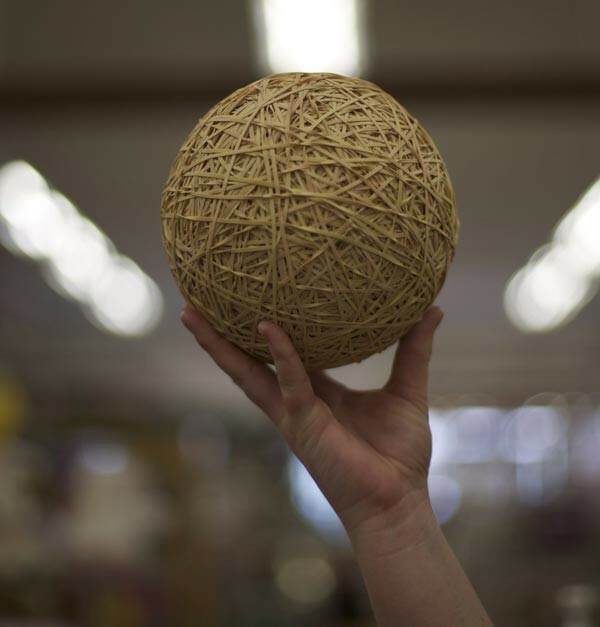 Mikayla, their 11-year-old daughter, has recently been working the counter, ringing up customers, getting to know the inventory and slowly working on the store's rubber-band ball (it's now up to a circumference of six-and-a-half inches). Will she, too, work at Corrick's forever? Probably, Jeri laughs: "She's a natural born seller." 637 Fourth St., Santa Rosa. 707.546.2423.—G.M. I'm clueless when it comes to car engines, so when I was told I had to get my exhaust manifold surfaced at a machine shop, images of being overcharged for a job that could take two or three weeks haunted me. A machine shop, I wondered? How the hell am I going to find a good machine shop? In the end, I discovered Selby & Sons the old-fashioned way—in the phone book. They were open on Saturday. They could do the job that same day. They said to come on down. A half hour later, my exhaust manifold was done. "Twenty bucks," the guy said, giving friendly advice on reinstalling it, and just like that, my nightmare dissipated into a dream come true. I noted the yellowed ads on the wall, the receipts from 1952, the old addresses from former locations downtown. Yep, I thought. One of those places. Around forever, based on good, honest service, and built to last. 3415 Industrial Drive, Santa Rosa. 707.526.4758.—G.M. An incomplete list of things I have bought at Friedman's Home Improvement over the years, in no particular order: A mailbox. A stump removal kit. A water heater. A rug. A foot warmer. A stovepipe. A shelf bracket. A roll of 220 volt wire. A bathroom lighting fixture. A bag of potting soil. A door hinge. A copper pipe. A gallon of paint. A bathroom faucet. A medicine cabinet. A roll of tarpaper. A wall heater. A light switch plate. A shelf. A door. A curtain rod. A copy of a key. A drill bit. A screwdriver. A sheet of plywood. A speed nut. A dryer vent. A PVC pipe. A towel bar. A can of plumber's putty. A caulking gun. A hot dog. A bungee cord. A fuse. A spring. A Snickers bar. A grooved trowel. A bottle of wood glue. A rubber hose. Am I a contractor? Not hardly. But, yes, I can completely understand why you voted Friedman's the Best Home Improvement Store for Sonoma County. 4055 Santa Rosa Ave., Santa Rosa, 707.584.7811; also, 1360 Broadway Ave., Sonoma, 707.939.8811.—G.M. From humble beginnings as a San Francisco Army surplus store, Louis Thomas over the past 60 years has evolved into the North Bay's finest purveyor of men's apparel and formalwear. For that reason, Louis Thomas is your pick for Best Men's Clothing Shop in Marin County. Besides, what's cooler than renting a tuxedo or buying a snazzy, perfectly tailored suit from the oldest surviving tenant of the Corte Madera Town Center? Since 1958, the store's North Bay locations have been the place to pick up night-on-the-town essentials like cummerbunds, formal vests and shiny cufflinks. The shop also sponsors the annual Louis Thomas Invitational Golf Tournament. 211 Corte Madera Town Center, Corte Madera, 415.924.1715; 150 Kentucky St., Petaluma, 707.765.1715.—L.C.